So you’ve plucked up the courage to pop the question and now comes the difficult decision of choosing a ring. Buying an engagement ring can be as tricky as getting down on one knee. After all, for some guys it take months, if not years, to say those four little words. Yet, there’s still work to do when it comes to looking for the ultimate rock. Recently, one of the most expensive engagement rings was purchased by Jay-Z. He dropped $5 million on an audacious 20 carat job when proposing to Beyonce. In spite of the fact that there are two of you, it can prove to be a jewel encrusted minefield when selecting the right ring. There are a number of different factors especially on the web to take into consideration. Fret not, as we give you the lowdown on how to purchase an engagement ring for your loved one online. Now we all wish that we had the bank balance of say, Donald Trump, but for many, expectations need to be kept at a reasonable level. At the end of the day, we all dream of giving our bride to be that gorgeous rock. However, you need to be savvy and there’s no better way than searching online. Through the internet, guys can have the opportunity to surf to their hearts content to find that jewel in a haystack. With a variety of online stores, the choice can seem daunting at times. Nonetheless, with careful research, as well as a set limit, the possibilities do exist. It is of course essential to stick a figure as diamonds can vary in price wildly. In this way, make sure you have a good browse at the array of online retailers before you decide to blow the budget. Focusing on diamonds may mean big bucks, but there are deals to be done online. Guys should be looking for four distinctive aspects as far as a diamond engagement ring is concerned. This includes clarity–not to mention color, carat weight and finally the cut. Due to a diamond being able to transmit light, the sparkle of the item in light can determine how much you may have to fork out. 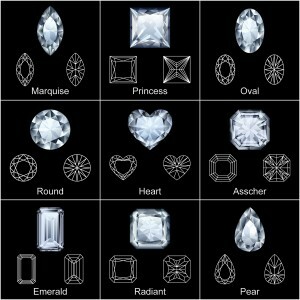 The best possible way to identify which diamond is best and to discuss other rings is to speak to an advisor online. This may be either through a live chat facility or over the phone, but it’s essential to find out in detail. This is a major commitment and so it’s crucial not to cut any corners. When looking for the ideal engagement ring online, it is also important to consider the reputation of a site. How credible are they? Is their site visually appealing? Have they updated their blog in the last twelve months, if at all? All these questions and more are crucial to the online purchasing experience. No guy wants to get burned, especially when he’s about to lay down some serious moolah. As a result, it’s key that you check out each site thoroughly to ensure there are no slip ups. In addition to this, there are a number of different review sites that are accessible to the public. This means you have the ability to compare and contrast people’s views on a particular business. If a site has received one out of ten with countless no show deliveries, the evidence is crystal clear to move on. It all comes down to a question of reliability, efficiency. Cheap is by no means cheerful, especially around engagement rings. Spend as wisely as Scrooge McDuck and reap the rewards from your fiancee. A brand brings with it a great reputation for quality and consistency. Therefore, don’t be cruel and save those dimes on a cheap knock off from the depths of Shanghai. It’s important when deciding on a ring to go with a reputable brand. You don’t want to be picking up the bill for an online purchase where there is no customer service and no way of retrieving your hard earned cash. In order to avoid those purchasing nightmares, it’s far better to opt for a designer or credible brand that is trusted. The price may be a tad extra, but it is most definitely worth it in the long term. On the plus side if a quality engagement does decide to give up the ghost and fall apart, there are options available. If your online purchase is through a well known brand, there are guarantees in place as well as a Consumer Contract Regulation. In some countries, including the United Kingdom, this law stipulates that any purchase can be returned for a full refund. It may be a dull exercise, but you don’t want to get caught with your financial pants down. This law should also note seller information accordingly and the right to cancel goods which are on offer. This revolves around the customer experience and it is certainly attributed as a key factor in the buying process. Who wants to be left hanging like a piece of string on the line for up to twenty minutes. What impression does that paint of the site or the company in terms of professionalism? Some individuals don’t have any idea where to start when looking to buy an engagement ring. Therefore, we all need a helping hand now and again to ensure our questions have been thoroughly answered. 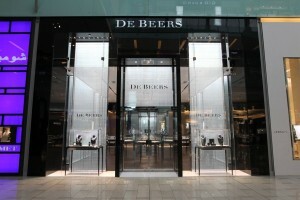 From the number of carats, to shipping fees, service plays a pivotal role in which site to choose. In an age where we are spending more and more time on the web, aesthetics are vital in making a decision. 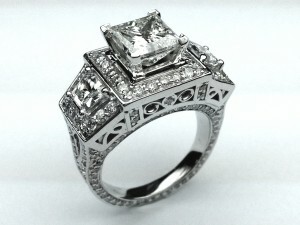 Who wants to buy an expensive ring from a site where there are typos and poor graphics. First impressions are key and as soon as you click onto the landing page, the jewellery journey begins. In fact it’s a company’s time to sparkle in this area by luring you in to make a purchase. Sleek graphics coupled with excellent navigation and functionality is what you should be looking for. Without this, a site does lose its pizazz and its best a consumer moves on to a more credible site where quality is assured in every single facet. If you’re after a bit of bling, then there’s no harm knowing someone in the know. Now say that ten times in the mirror. As the old saying goes, it’s not what, but who you know. It does literally pay to be able to call on someone who may work for an online jewellery site or even own a jewellery company on the web. Therefore, you may be privy to exclusive sales on engagement rings and be the first to literally know. Meanwhile, staff discounts for those chums who work for said businesses means that guys can benefit from potentially big savings. Don’t be shy, as if you don’t ask, you certainly don’t get. There is no more powerful form of marketing than word of mouth. Despite what those Mad Men in the know preach, speaking to others about where to buy an engagement ring is essential. It could be your next door neighbour, friend, confidante or work colleague. Why not tap into their knowledge and find out if they know anyone who has bought a ring on the internet. It could be a vital source of information in the battle for jewel supremacy. If any of the above have had a great experience online, you will be much more inclined to use that given site. Testimonials or specific recommendations from others are becoming more important across the board and this is definitely another case. Furthermore, it gives extra weight to finding the right ring according to your personal circumstances. Talk about one ring to rule them all.